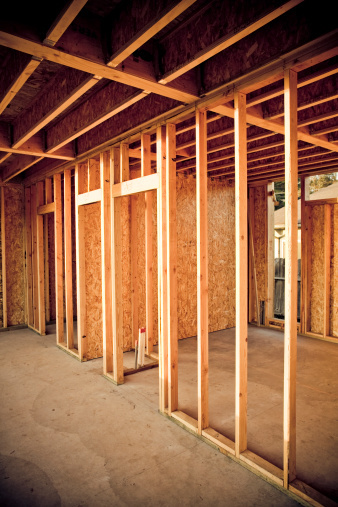 Wall studs make up the vertical framing in home construction. 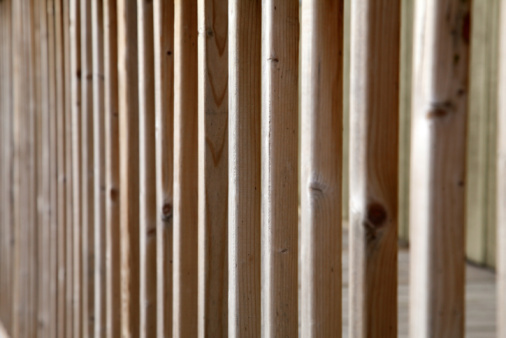 Each stud generally secures to the top and bottom horizontal framing plates with nails. When either end of the stud requires reinforcement, a "sister" stud is attached on either side of the existing stud. Additional support for a wall stud becomes necessary when sections of the stud are removed for sill plate bolt clearance or to repair a weakened stud. You can sister a wall stud with a few tools and basic home improvement skills. Measure the distance using a measuring tape from the bottom plate to approximately 12 inches above the damaged or sectioned wall stud. If wiring or plumbing is present, measure from the plate to either of these obstructions. Mark the distance measured with a pencil and a T-square on the stud lumber that will be used. Cut two pieces for each stud in need of sisters. Cut the stud lumber at the pencil mark using a wood saw. Attach a sister on either side of the existing stud with size 16d framing nails. Drive the nails through each sister into the wall stud using a framing hammer. Toe-nail the sister studs to the base plate using 8d nails and the hammer. 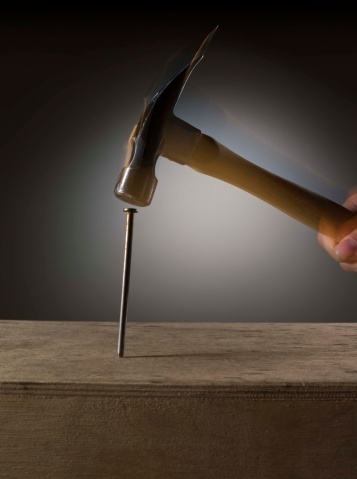 Toe-nailing involves hammering the nails at approximately a 45-degree angle through the sister and into the plate.